Larus cachinnans hybrid 9,10,13CY male P002 October 2003, Konin; May 02 2005, April 2008, Włocławek Reservoir, central Poland. Male hybrid Caspian x Herring Gull in a breeding territory, Wloclawek, central Poland, April 2008. The same bird several times; the red colour ring P002 was replaced in 2005.
below: cachinnans hybrid 13CY male P002 April 2008, Włocławek Reservoir, central Poland. Picture: Grzegorz Neubauer. 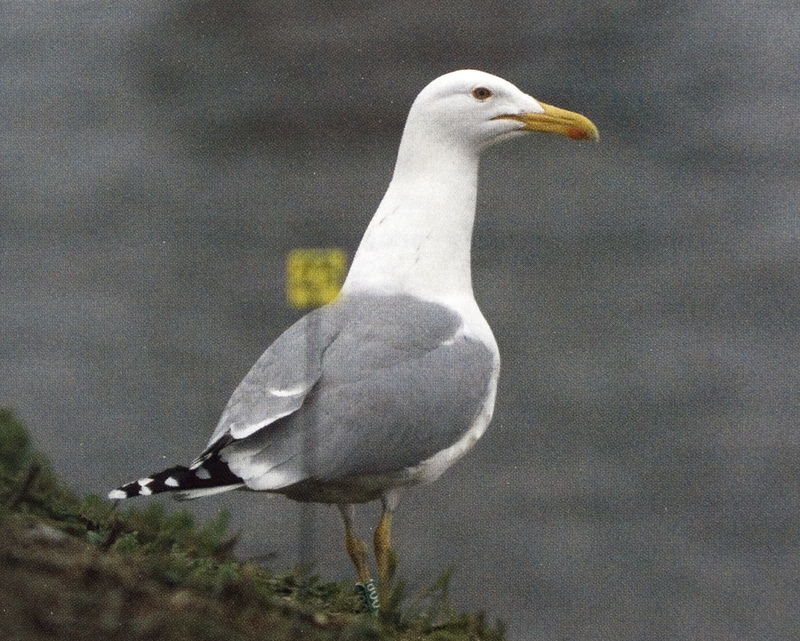 Note the typical Caspian Gull structure in this pose; in many larger-billed Caspians, as well as some slimmer-billed birds such as this hybrid, the bill, despite being deep at the base, lacks a gonys bulge and so the bill tapers continuously and markedly towards the tip. below: cachinnans hybrid 11CY male P002 May 02 2005, Włocławek Reservoir, central Poland. Picture: Magdalena Zagalska-Neubauer. 11CY male hybrid Caspian x Herring Gull, Wloclawek, central Poland, May 02 2005. 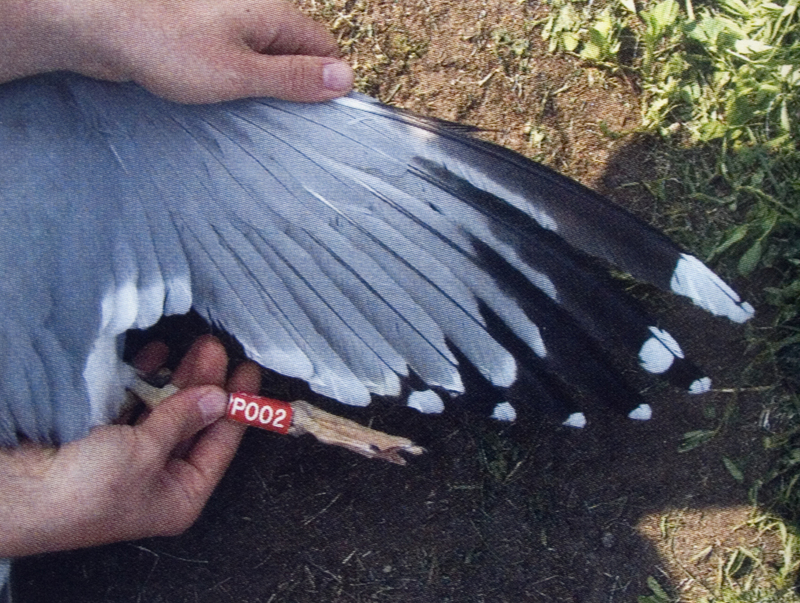 Ringed as a chick at middle Vistula, south of Warsaw, in May 1995. 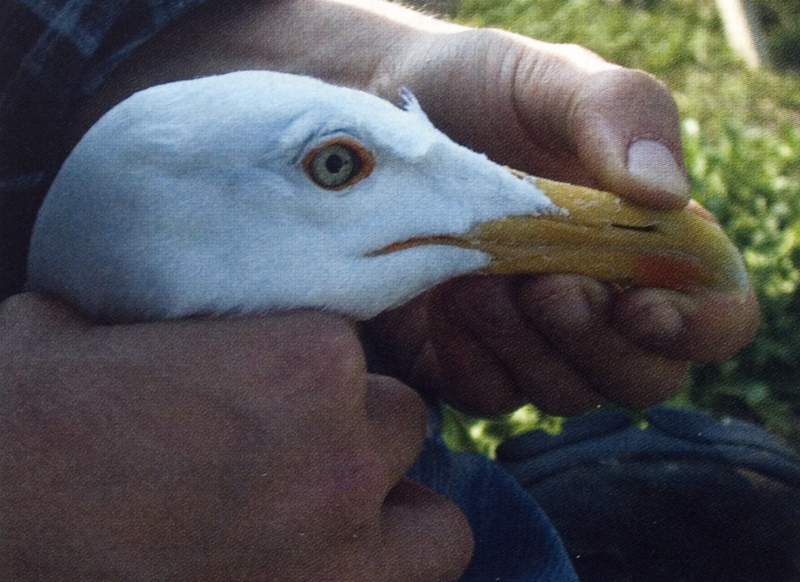 Like many hybrids, this bird is intermediate in appearance: note the slightly dark-spotted iris (scored as 2; see table 1 below) and slim bill (scored actual bill ratio computed from depth/length measurements was 3.21, thus matching Caspian perfectly; see Neubauer et al. 2007). Both of these features exclude pure Herring. Conversely, in P10 there is more black than white and the short tongue is grey, features that exclude pure Caspian. This combination of characters means that the bird would be unacceptable as a pure Caspian and also out of the range of pure Herring; if unringed, such a bird should be left as unidentified and flagged as a likely hybrid. below: cachinnans hybrid 9CY male P002 October 2003, Konin, central Poland. Picture: Visa Rauste. 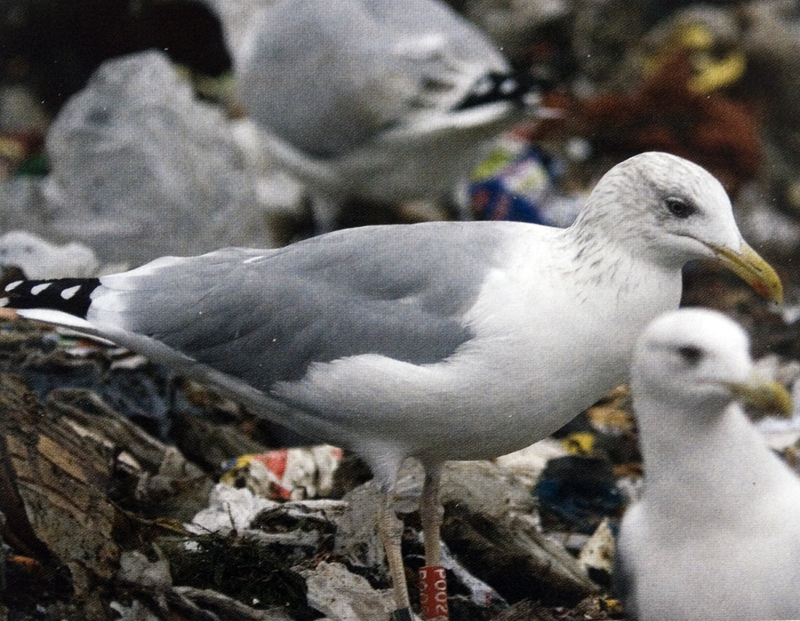 9CY male hybrid Caspian x Herring Gull, Konin, central Poland, October 2003, photographed c. 70 km south of the breeding colony. Note the dense and rather diffuse Herring Gull-like head-streaking on this date, when the bird is in nearly complete winter plumage (the two outer primaries are not fully grown yet, so it has still to complete the moult). ln practice, such a heavily streaked individual would arouse suspicion even without the ring (and the bird’s known history). Below, table 1 is repeated to score this bird. Not all traits can be scored, the partial scores are in italic + bold. Here, all 9 traits are visible from the images, score is 10.